Receive 10% off admission and skate rental during any Public Skate with valid military ID. Not valid during during birthdays, events, or special skates like Two Buck Tuesday and Family Night. October is National Skating Month and kids ages 11 and under receive free admission with the purchase of a paid adult(18+) admission. Throughout the year kids 5 and under receive 50% off admission with the purchase of a paid adult admission. Not valid during birthdays, events, or special skates like Two Buck Tuesday and Family Night. 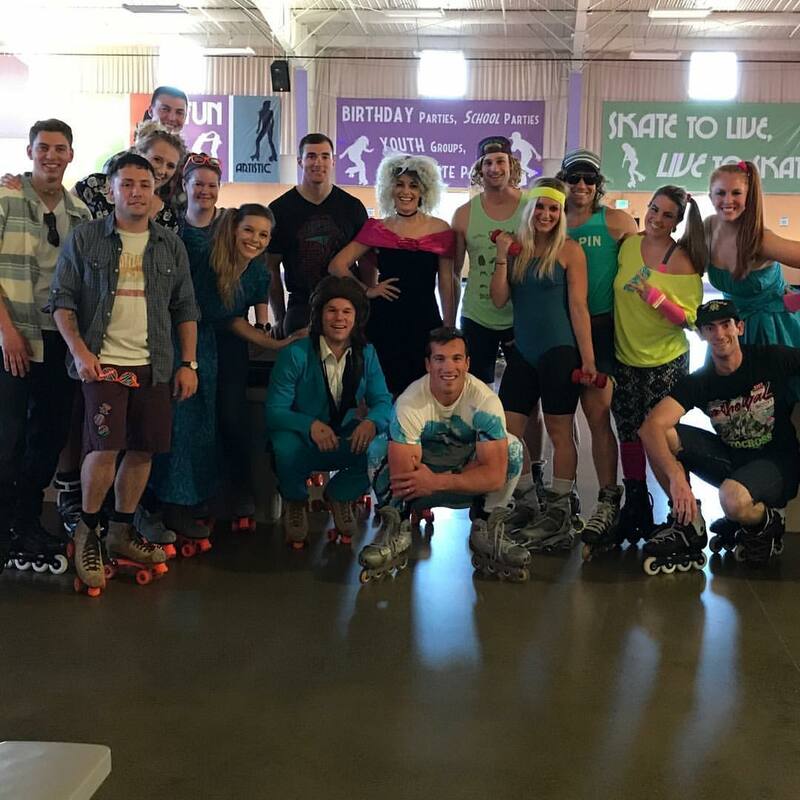 Although we do not give a direct discount to a person with a disability, they are welcome to bring one skating aid(person) and receive free admission and skate rental during any Public Skate. Please note, the only day people can walk on the skating floor is Saturdays 10am-12pm, otherwise everyone must have skates or wheelchair to be on the skating floor. $2 off admission Available during Public Skate sessions. Not valid during specialty skates. Skate rental and other extras not included. $3 off admission Available during Public Skate sessions. Not valid during specialty skates. Skate rental and other extras not included.